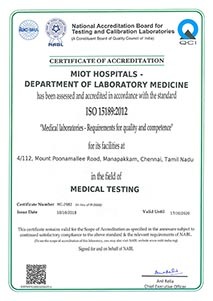 The Department of Laboratory Services at MIOT International offers round-the-clock services in all branches of laboratory medicine. Ranked eighth internationally, the sophisticated 6,000 sq. 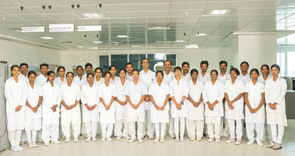 ft facility has state-of-the-art diagnostic technology and a full-time, dedicated team of pathologists and microbiologists. 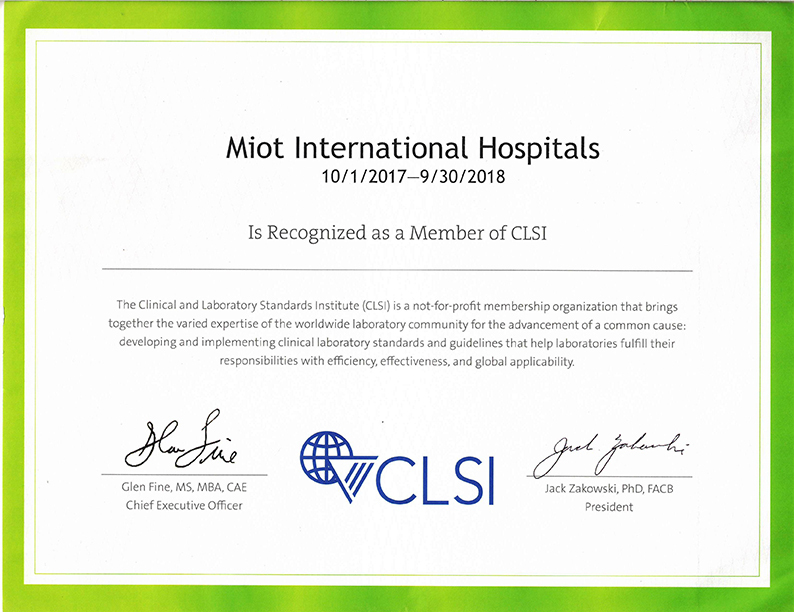 MIOT International laboratory services include clinical pathology, clinical chemistry, endocrinology and serology, haematology, immuno-haematology and coagulation, microbiology, anatomic pathology and cytology, transplantation Immunology, flow cytometry, and molecular diagnostics. 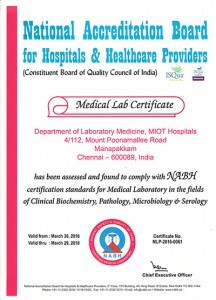 The laboratory adopts International Quality management systems, is staffed with excellent technicians who are mandatorily kept updated with the latest protocols and methodologies, and work closely with laboratory physicians. Participated in COLLEGE OF AMERICAN PATHOLOGISTS EQAS program scoring globally acceptable values for the past 3 years. 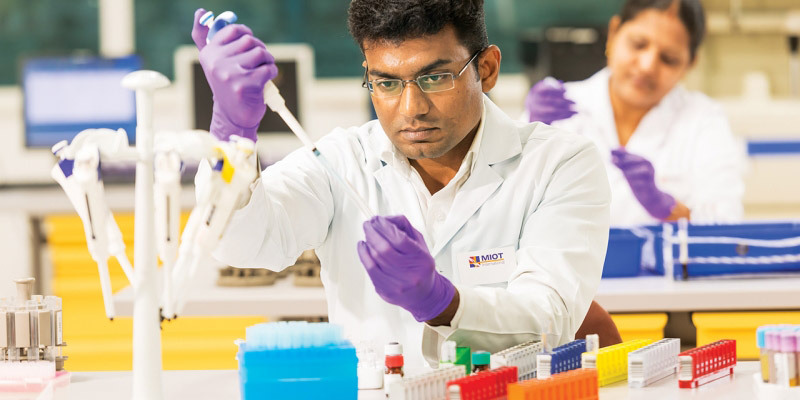 The centralised laboratory, right on campus, enables discussion between pathologists, lab-medicine experts, doctors and surgeons. Patients benefit from an accurate and quicker diagnosis which, in turn, means quicker treatment and a shorter hospital stay. 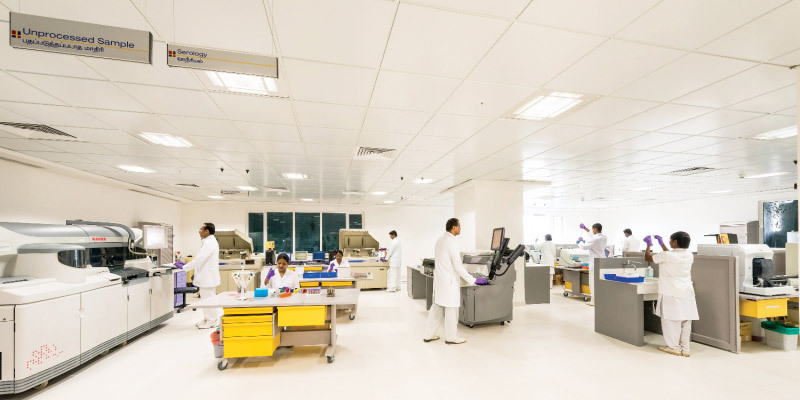 The clinical chemistry, endocrinology and serology division at MIOT International is equipped with three fully-automated analysers with a throughput of more than 2600 tests per hour. 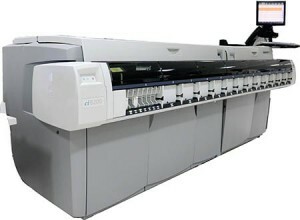 Common metabolic panel, electrolytes and esoteric tests are run on these machines. 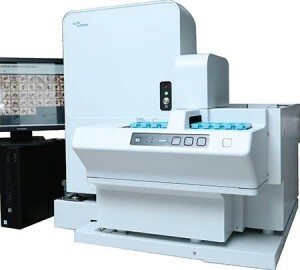 The division plays an important role in the diagnosis and management of diabetes, obesity and osteoporosis as it has the facilities to run fully-automated chemistry and immunoassay analysers. Biomarkers for thyroid disorders, subfertility and osteoporosis enable physicians and surgeons to manage them. Tumour, hepatitis and certain critical-care markers help to screen, diagnose and prognosticate disease, as well as reduce utility antibiotics. The division also plays a crucial role in the diagnosis of various autoimmune diseases, myeloma and renal diseases, as well as the detection of HIV, HBV and HCV. 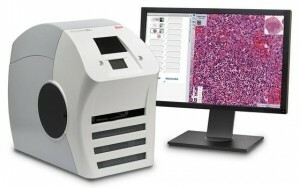 Complete Hematology Integration in a Single Platform. Reduce Review Time for Differentials. Standardize Your Lab’s Differential Results. 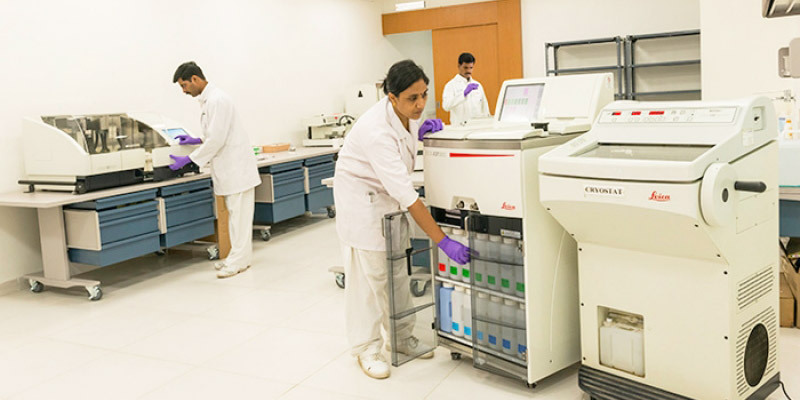 The clinical pathology section has a fully-automated urine chemistry analysis along with urine flow cytometry. It enables the early detection of kidney disease and prevention of kidney failure, as well as the identification of abnormalities in urine sediment which helps in early diagnosis of urinary tract infection. The anatomic pathology and cytology division uses a cryostat for its frozen section, which facilitates intra-operative consultations between surgeon and pathologist. Its cytospin facilities aid in cytology and FNAC consultations and immunohistochemistry services are invaluable for challenging cases and in onco-pathology consultations. Capillary electrophoresis for detection of abnormal haemoglobins like thalassemia, haemoglobin S, haemoglobin C, haemoglobin D, haemoglobin E, etc. Automated Coauglometer for individual factor assay to diagnose and monitor diseases like haemophilia. Some of the tests performed are protein C, protein S, antithrombin III and lupus anticoagulant. A wide variety of clinical chemistry and immunoassays (250 Assay, 140 tests per hour). Novel Biomarkers for patients’ safety. Achieving 6 Sigma levels for most of the assays. Diagnostic Suite with artificial intelligence. 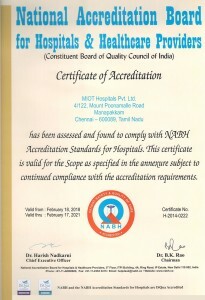 The microbiology division at MIOT International is involved in bacteriology, mycology, mycobacteriology and hospital surveillance. The automated blood and body-fluid culture systems and antibiotic sensitivity testing system helps in the early detection of infection. 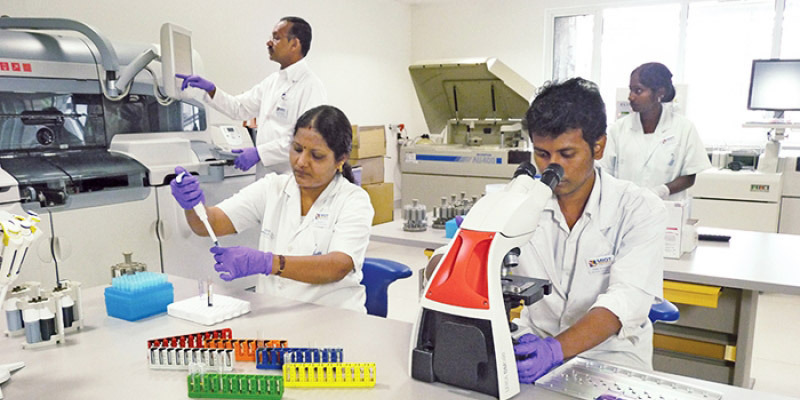 The mycobacteriology section is fully equipped with BS-III labs and renders molecular testing for detection, antibiotic sensitivity and resistance testing for mycobacterium.